About: Hypocalcemia is an electrolyte imbalance and is indicated by a low level of calcium in the cat’s blood. Causes: Hypoparathyroidism, milk fever, chronic kidney failure, hypoalbuminemia, phosphate enemas, vitamin D deficiency and antifreeze poisoning, acute pancreatitis and diet. Diagnosis: Baseline tests, diagnostic imaging and additional blood tests depending on the suspected cause. Hypocalcemia is abnormally low levels of calcium in the blood. Hypo meaning low. Calcium is the most abundant mineral found in the body, approximately 99% is stored in bone and the remaining 1% in extracellular fluid (fluid found outside of the cells and between the cells in body tissues). It is essential for several functions including providing strength to bones and teeth, cardiac function, proper nerve impulses and muscle contractions, blood clotting. Calcium is stored in the skeleton and released as it is required. In combination with phosphorus, it forms calcium phosphate, the dense, hard material of bones and teeth. Cats get most of their calcium from the food they eat. Several key players responsible for the maintaining calcium levels, this is long and quite complicated at first, but it is important to understand that a problem with any of these can cause hypocalcemia. Parathyroid glands are tiny glands located behind the thyroid gland, these glands control levels of calcium, phosphate, and magnesium. Blood is filtered through these glands and if levels of calcium are too low, they release parathyroid hormones into the blood which increases blood calcium levels by pulling calcium from the bones, helping to increase absorption of calcium from food and increase the ability of the kidneys stop calcium being lost via the urine. If levels are too high, the parathyroid glands slow down or stop making parathyroid hormone which pushes calcium back into the bones. Vitamin D3 (calcitriol) is a fat-soluble vitamin (it is stored in the fatty tissues and liver) is also activated by the parathyroid hormone. It increases levels of calcium and phosphate. When blood levels of calcium drop, vitamin D is activated, which helps, the gut absorb more dietary calcium. Calcitonin is a hormone produced by specialised cells (known as parafollicular cells) in the thyroid gland. If blood calcium levels are too high, calcitonin is secreted which acts to reduce levels by inhibiting absorption in the gastrointestinal tract, allowing the kidneys to excrete more calcium in the urine, inhibiting osteoclast activity in the bones and increasing osteoblast activity in the bones. The kidneys filter blood, and when functioning properly are able to filter the blood and maintain calcium levels. Bones are reservoirs of calcium. When levels drop, calcium is extracted from the bone into the bloodstream. When levels are too high, calcium is pulled into the bone. Small intestine where dietary calcium is absorbed. The parathyroid glands are small endocrine (hormone-producing) glands located in the neck behind the thyroid gland. They produce parathyroid hormone (PTH) which is responsible for increasing calcium levels in the blood. This is done by increasing calcium absorption from the digestive tract, taking calcium from the bones and suppressing calcium loss from urine. Hypoparathyroidism is a medical condition in which the parathyroid hormone is either greatly decreased or absent which can lead to hypocalcemia. 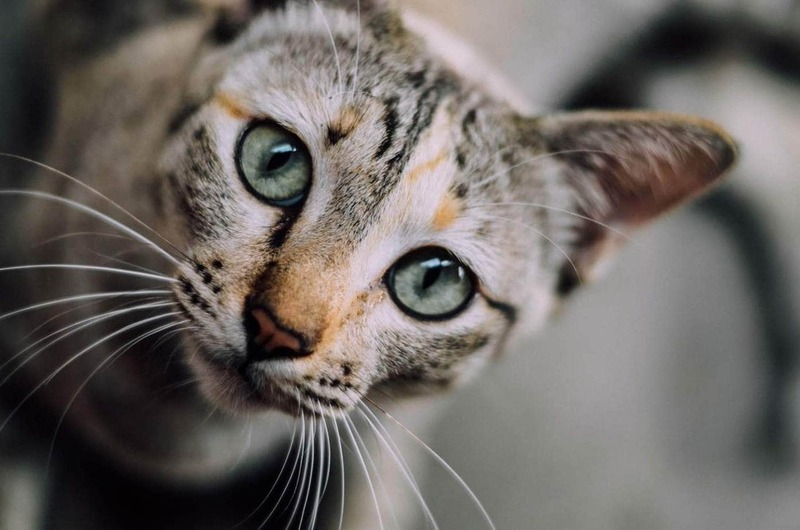 Low concentration of parathyroid hormone in the blood which usually occurs during surgery to remove the thyroid gland, when treating a cat for hyperthyroidism. The parathyroid gland may be accidentally removed or damaged at the same time. A condition which occurs in lactating queens. The exact cause isn’t fully understood, but it is believed to be an imbalance between outflow of calcium (via the milk) and inflow (from the bones and gastrointestinal tract). Cats with kidney failure often have elevated phosphate levels (hyperphosphatemia). Phosphate, like calcium, helps to build the bones, both calcium and phosphate require vitamin D to absorb phosphate. In the healthy cat, excess phosphate is filtered by the kidneys and excreted out of the body in the urine. However, when the kidneys begin to fail, phosphate levels can begin to rise. As phosphate rise, calcium levels decrease. As protein-bound calcium is mostly attached to albumin, when levels drop, it affects protein-bound calcium levels. Ionized and complexed calcium levels remain normal. There are many possible causes of this including inadequate nutrition, liver failure (albumin is formed in the liver) and inflammation. Severely dehydrated cats (which is common when constipated) are particularly at risk. Phosphate from the enema is absorbed, leading to increased levels. High levels of phosphate cause low levels of calcium in the blood. Inflammation of the pancreas due to activation of digestive enzymes which begin to break it down. Vitamin D plays an essential role in the absorption of calcium in the gut. Cats obtain vitamin D via the sun. UV rays are absorbed into the fur, oils from his skin create vitamin D, this is then ingested when the cat grooms his coat. Cats also get vitamin D from their food. Commercial diets should have added vitamin D, however, some homemade diets may not have adequate amounts. When the liver attempts to metabolise ethylene glycol, it is converted to oxalate. This combines with calcium to form calcium oxalate crystals inside the kidney leading to decreased levels of calcium in the blood. 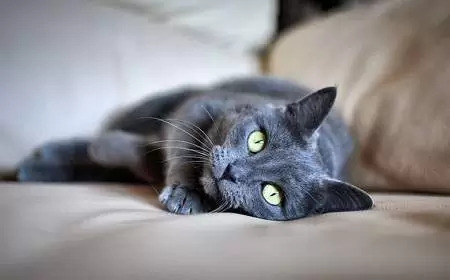 The veterinarian will perform a complete physical examination and obtain a medical history from you including recent thyroid surgery, a history of kidney disease, is the cat a nursing queen? Biochemical profile: This can check calcium, phosphate, BUN, creatinine and albumin levels. It may also reveal the cause such as kidney failure or antifreeze poisoning. Urinalysis can reveal signs of kidney failure, calcium oxalate crystals (in the case of antifreeze poisoning). Both of these routine tests can give the veterinarian a measure of blood calcium and give him an overall picture of your cat’s health. These tests can also reveal if your cat is suffering from kidney failure. Further diagnostics will be necessary to determine the underlying cause. Ultrasound or x-ray of the kidneys to check their size and shape. Urine specific gravity to measure the concentration of the urine. Parathyroid hormone (PTH) test to check hormone levels. fTLI, TAP, fPLI are all tests which test enzymes or proteins in the blood to evaluate for pancreatitis. X-ray and ultrasound of the pancreas. Blood test to evaluate for antifreeze poisoning. fTLI (feline Trypsin-Like Immunoreactivity) – This test measures the concentrations of trypsin-like proteins in serum. Elevated levels may be indicative of pancreatitis. TAP (trypsin activation peptide) and fPLI (feline pancreatic lipase immunoreactivity) to evaluate for pancreatitis. The most important aspect of treating hypocalcemia is addressing the underlying cause as well as stabilising the cat. Slow intravenous administration of calcium gluconate and diazepam to manage seizures. Monitor heart rate and electrocardiogram. Vitamin D supplements to help with the absorption of calcium. Once the cat has stabilised, oral administration of calcium gluconate. Echocardiogram (ECG) to check for cardiac abnormalities. Manage chronic kidney failure with diet and phosphate binders. Induce vomiting, lavage stomach (wash it out with sterile water), administration of ethanol, sodium bicarbonate to treat antifreeze poisoning. Painkillers, antibiotics, anti-nausea medication, blood transfusion, and in some cases surgery, to treat pancreatitis.